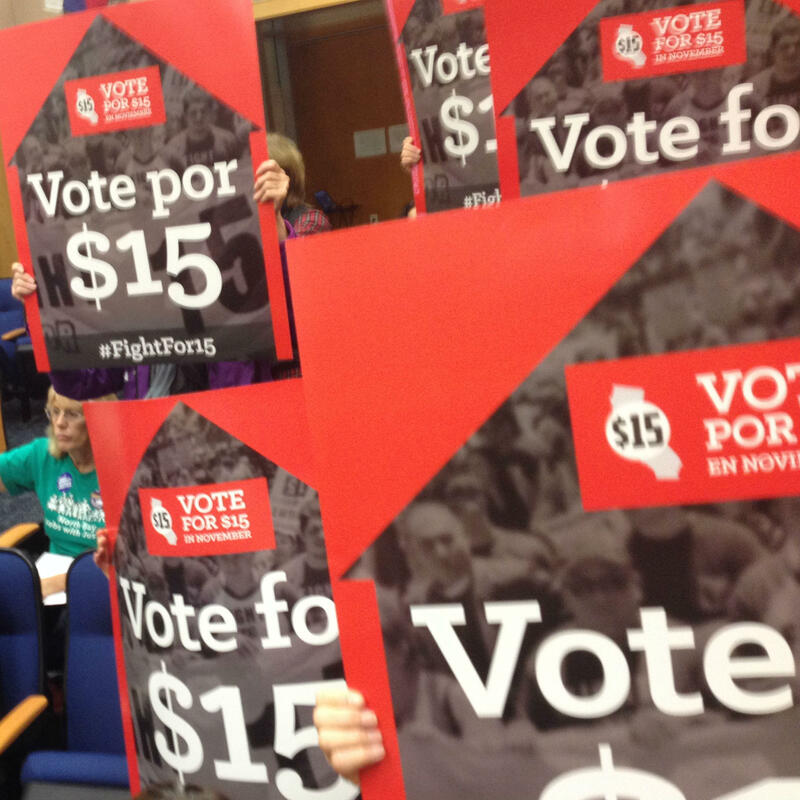 Signs advocating a $15 per hour minimum wage were one display at one point as Sonoma County supervisors discussed their amended Living Wage Ordinance Tuesday afternoon. After five months of further study, and a bit of tinkering, Sonoma County Supervisors have lined up behind a new Living Wage Ordinance for the firms and non-profits that contract with the county. 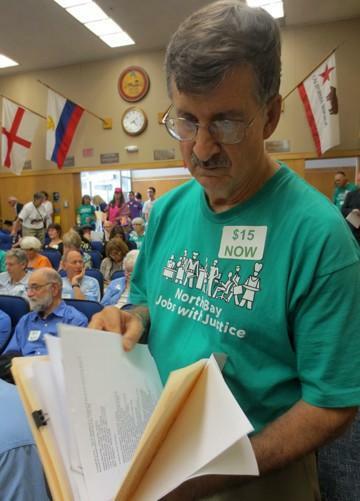 Supervisors Susan Gorin and James Gore comprised the Ad Hoc committee that spent much of the past several months studying and discussion the Living Wage Ordinance with a host of stakeholders. It was time well spent, says Gorin. The revised measure is improved, and represents a step forward, acknowledges Marty Bennet, a lead organizer for North Bay Jobs With Justice. But he points out that other local governments in California have done more.